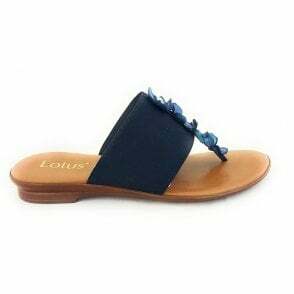 Perfect for hot summer days are these Lotus Calie sandals in navy. 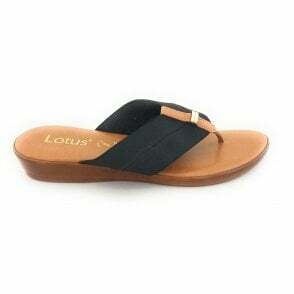 Featuring a comfortable toe-post design which fastens at the side with a simple buckle. 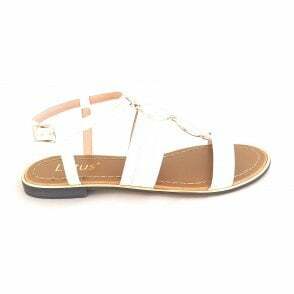 This flat sandal is finished with a crossover strap and band over the foot. Wear with anything from shorts to pretty dresses.